The Nigerian Navy ranking starts at mid ship-man all the way to admiral of the fleet. The ranking is stated below with the highest rank at the top. The Army ranking has a field marshal at the top followed by a general. 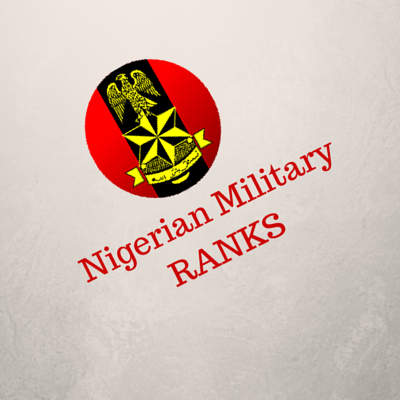 The complete ranking order of the Nigerian Army is listed below. Nigerian Navy Ranks, Nigerian Airforce Ranks, Nigerian Army Rank. The rank of Navy commodore is missing from the list pls.